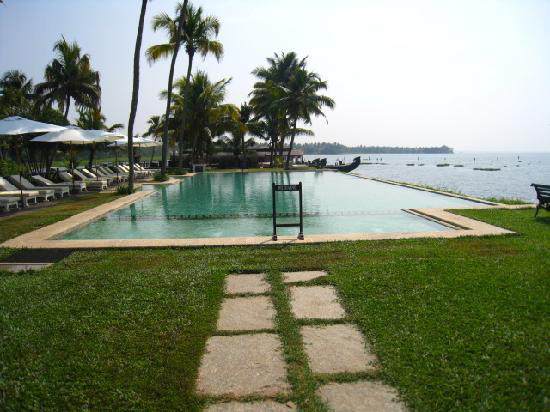 Kumarakom Lake Resort Kumarakom Lake Resort, acclaimed as the finest luxury heritage resort in India, nestles on the serene banks of the Lake Vembanad, the vast stretch of tranquil, emerald green backwaters, in one of India's hottest holiday spots, Kerala. 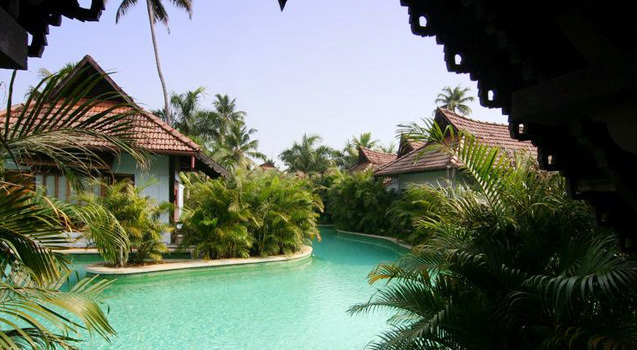 Sprawling across 25 acres of lush greenery and set in soul-stirring ambience, Kumarakom Lake Resort, a privileged member of the Small Luxury Hotels of the World and awarded thrice in a row as India's Leading Resort (2006, 2007 and 2008) by the much acclaimed World Travel Awards, exudes the charm of Kerala's true heritage while offering a complete range of New Age amenities for a luxuriously comfortable stay. 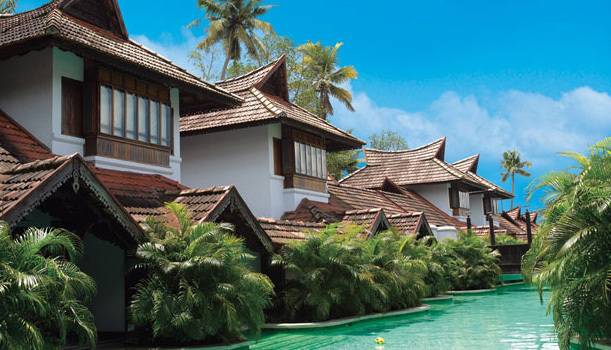 Luxury-laden rooms, villas and suites; Ayurmana, the Ayurveda Spa; swimming pools galore; traditionally styled houseboats; multi-cuisine and specialty restaurants; traditional Kerala teashop and countless other attractions in and around the resort offer you the simple luxuries of life, in the grandeur of the royalty of yore. In an environment that clears the mind and lifts the spirit, the Resort provides comprehensive personal and business services at its Conference Hall that has a capacity to seat 85 persons. The hall is well furbished with state-of-the-art communication systems and presentation facilities. 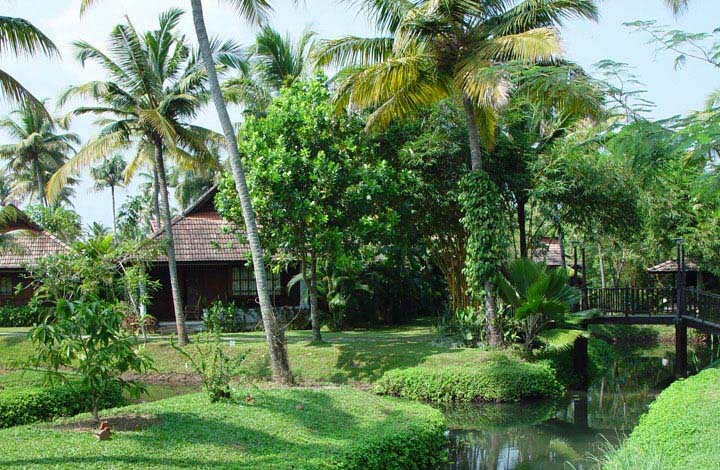 Ettukettu, the multi-cuisine, 115-seat restaurant owns the place of pride at the Kumarakom Lake Resort. 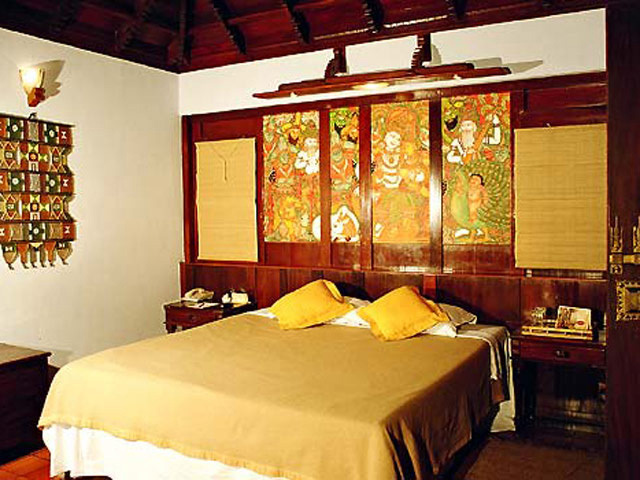 A princely eight-sided mansion with 2 central courtyards, the Ettukettu bespeaks of the grandeur of yesteryear Kerala’s regal architecture. Commissioned by the King Marthanda Varma as a gift to his favoured martial arts tutor, Edamana Kellamthat Gurukkal, the mansion was built with all the magnificence of the homes of the nobility of those days. 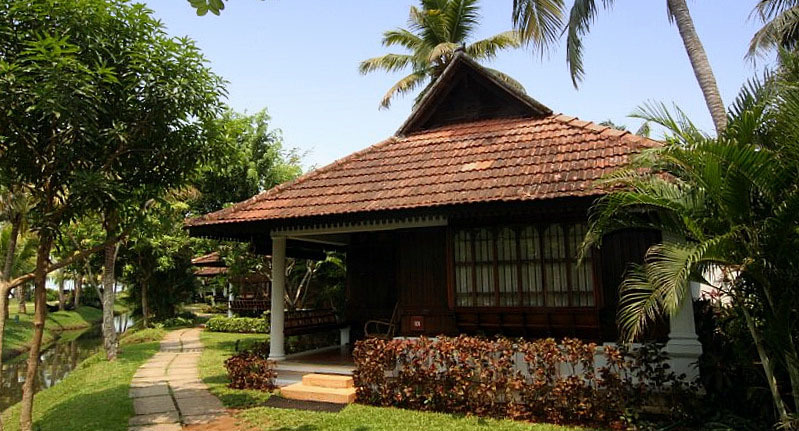 The Ettukettu had been dismantled from its original location and relocated in all its glory at Kumarakom Lake Resort, and is today dedicated to the culinary arts as it once was to martial arts.